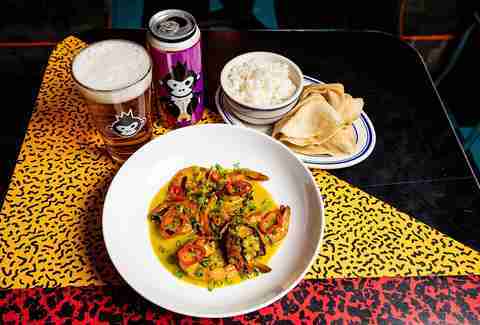 Curry is the world’s comfort food, and global craft beer brand Bira 91 wants to show some love for the versatile dish. That’s why they’re launching the first-ever International Curry Week, a playful celebration of all things curry that showcases the dish’s reach across various cultures. Influenced by and adapted into different culinary styles across the planet -- from Thai, to Carribbean, to West Indian, and more -- curry as a dish has truly become a product of global culinary currents. 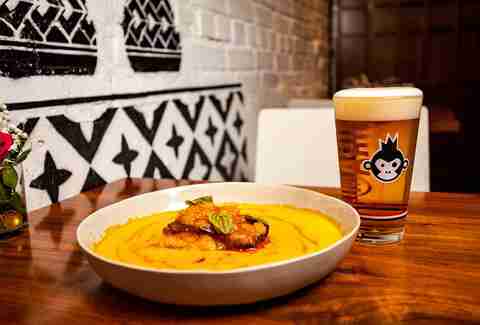 Some of New York City’s top restaurants are joining in with specialty curries from October 12-28 and will offer custom menus and special Curry Week prices on existing dishes. 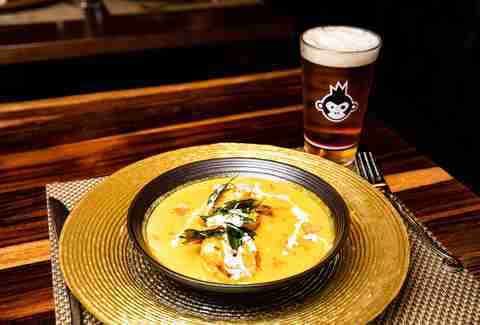 All curries are paired with Bira 91, too. So take a gander, get hungry, and set those reservations. There’s a reason why chefs love local ingredients; fresh items that don’t linger in transit from supplier to kitchen are tastier and more nutritious. That’s why Chef Chintan Pandya at Rahi focuses on ingredients he can get in the New York area, then reimagines them with regional Indian flavors. 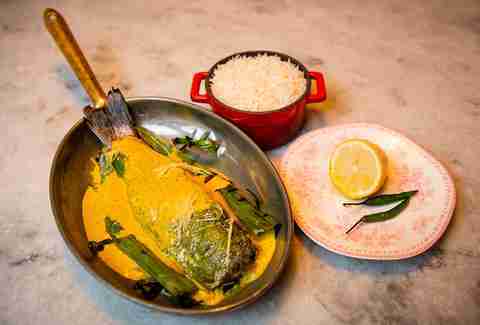 That’s also true of his Three Mango Cod, which is cooked in a coconut mango curry, then served with a crab butter and fresh and pickled mango. The result? A fresh, beautifully presented dish that’s sure to wow your Instagram followers (and your taste buds). Pairing notes: The IPA has enough bitter hops to cut through the coconut in this dish, while the notes of tropical fruits will complement the aroma from the mango. Pairing notes: Bira 91 Blonde Lager has a refreshing and crisp taste that will cleanse the palate of the cream in this dish. When Gaurav Anand first traveled to Lucknow, India, he fell in love with a 200-year-old braising technique, “dum pukht.” Awadh is one of only a handful of restaurants that specialize in it in the United States. Similar to a slow cooker, in dum pukht, a heavy pot insulates meat to cook on ultra-low heat for hours. The result? Dishes like his Kerala Shrimp Curry. “The look on people's faces when they have eaten one of my creations is priceless, and it makes all my hard work and my struggles completely worth it,” the chef says. Pairing notes: Bira 91 Blonde Lager was designed to pair perfectly with spicy dishes, thanks to its ability to cool the tongue. It can stand alongside the long-cooked curry here without getting overpowered. Amarachi has been a part of the Bed-Stuy community for 14 years, and in that time has established itself as both a place for classic Nigerian dishes -- like this chicken curry -- and a rousing good time on weekends. Chef Adewumi is known in this neighborhood as “Bub,” and grew up in a Nigerian village before coming to New York, so the restaurant and lounge is a testament to his personal story with Yankees paraphernalia and African artifacts both serving as decor. Besides the tasty classic Nigerian curries, expect plenty of live music and creative cocktails. Pairing notes: Bira 91 IPA is bold and spicy enough on its own to stand up to the heat in this dish… and wherever the night takes you (probably to the dance floor). When you live in a city like New York, you need a vacation at least once every quarter. But, let’s be real: No one has the vacation time (or bank account balance) for that. That’s where Miss Lily’s 7A comes in. Chef Schop creates Jamaican specialities -- like this West Indian curried shrimp -- to put stressed-out New Yorkers in an island mood without a plane ticket. “Our goal is to bring our guests into an urban oasis, where they feel like they've escaped the bustling streets of New York City and where stress drifts away to the tune of reggae,” he says. And once you taste this curried shrimp dish, served alongside tamarind chutney, roti (aka Indian flatbreads), and jasmine rice, you may even start singing along. Pairing notes: Bira 91’s White Ale is soft and citrusy, so it will balance out the heat from the chutney, while matching the coriander with its own. Thai curry differs from Indian curry in a few ways. It’s made with a paste rather than dried spices, and the resulting curry is normally more like a stew, thanks to the addition of coconut milk at the end. 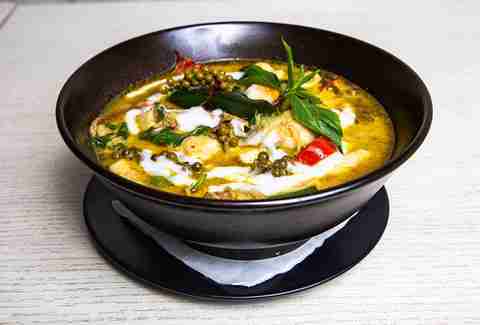 At Kiin, the focus is on authentic Thai cuisine from Bangkok and Northern Thailand, and the signature green curry is made with green eggplant, sweet basil, and long hot chili peppers, all combined with coconut milk. Then, it’s topped with a salted egg yolk fish ball, a Thai local favorite that the chef says adds extra texture to the dish. “We want our customers to enjoy the authentic Thai food here in Manhattan without flying to Thailand,” Chef Aun says. Pairing notes: The citrusy undertone and coriander from Bira 91’s White Ale will add a bit of brightness to this thick and creamy curry, as well as sweep away the coconut milk with a stark contrast.